TTN, 22nd July 2016: The new Minister for Trade, Investment and Tourism is someone who actually knows about the big business of tourism – he’s been the federal member for the Gold Coast since 2001 and is trained in economics – meaning the $190 fee asian tourists pay on entry could be on the chopping block. Considered to be on the far right (conservative) of the Liberal government, one could also expect Steven Ciobo to take a stake in the penalty rate argument, as economic conservatives would traditionally be against penalty rates in hospitality. EXTENDING the light rail system to Coolangatta airport should be one of the first items on new Tourism Minister ­Steven Ciobo’s agenda, claims a leading tourism body. The Member for Moncrieff was yesterday appointed to the tourism portfolio, alongside his existing responsibility for trade and investment. Mr Ciobo’s appointment was made by Prime Minister Malcolm Turnbull as he ­announced his reshuffled ministry. It is the first time the tourism portfolio has been handed to an Inner Cabinet minister which means the sector now has a direct line to the Government’s powerful core. Tourism and Transport Forum CEO Margy Osmond said from a federal perspective, transport was vital to helping improve tourism on the Gold Coast. “From Steve’s point of view, it is about transport and a part of that is extending the light rail to the airport,” she said. Ms Osmond said a good transport system would encourage tourists to move around the Gold Coast, rather than staying in one area. Transport issues were a thorn in the side for Mr Ciobo during the election after he came under fire for the Federal Government failing to provide adequate funding to upgrade the M1. The State and Federal governments are arguing over whether the national body should provide 50 or 80 per cent of the upgrade funding. Tourism Australia director and Mantra CEO Bob East echoed Ms Osmond’s praise and said the appointment was an “excellent decision”. Mr East said Mr Ciobo understood the industry and was in a unique position heading into the Commonwealth Games. “I think the importance of that event will not be lost on him, given his electorate will get some direct benefits,” he said. 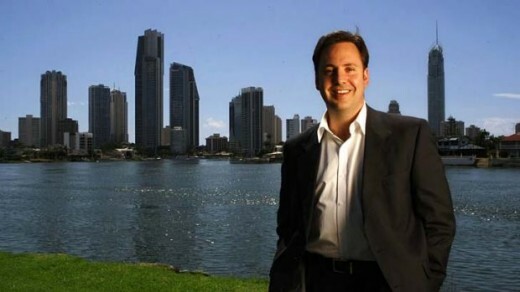 Gold Coast Tourism chairman Paul Donovan said the group had spoken to Mr Ciobo about what the city needed to help improve tourism but declined to go into detail. A spokesman for Mr Ciobo told the Bulletin the newly named Tourism Minister was not available to speak about his appointment. Mr Ciobo was not the only Gold Coast MP to be given a position in the ministry. Member for McPherson Karen Andrews has been handed a new role in the outer ministry, moving from assistant minister for science to Assistant Minister for Vocational Education and Skills. “Australia needs quality apprentices to build the infrastructure of the future and repair the infrastructure of the past,” Ms Andrews said. Member for Fadden Stuart Robert missed out on a role in the ministry.